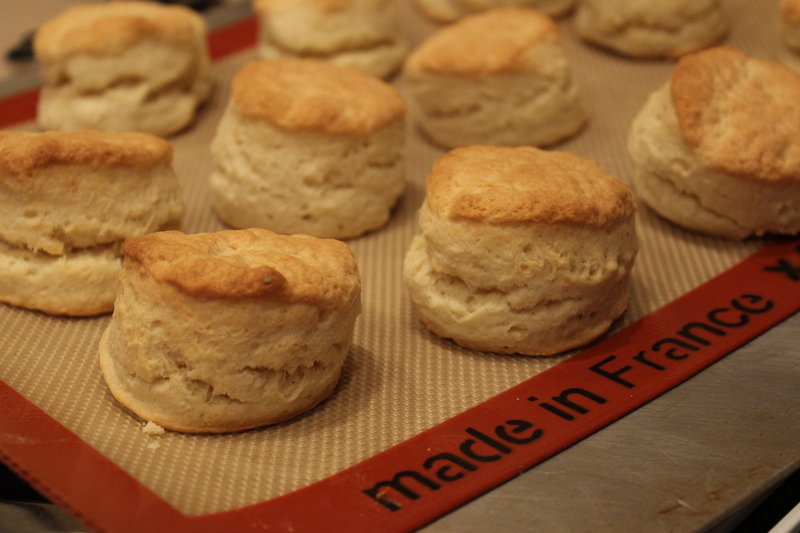 I know this may not be the time of year to learn how to make biscuits but I promise you theses are pretty fool proof. With only 3 ingredients they come together quickly and how satisfying to bake your own biscuits. Serve them up hot with plenty of butter. Using a 2 ½” biscuit cutter make 12 biscuits, you will have to gather the scraps and kneed them a couple of time and pat out for the last 1 or 2. This entry was posted in Recipes and tagged biscuits, Breakfast, cream, self rising flour. Bookmark the permalink.